“It’s Happening, but not in Rio” Jim Leape, New York Times, June 24, 2012. Human fishing activities are decreasing globally, but the fishing effort (the capacity to catch fish) continues to increase. The choice of technological efficiency over the human factor has created a “lose-lose” system. On the one hand, our natural resources and marine ecosystems cannot support the pressure we are putting on them (with an annual decrease of 0.4% in world fishing catch since the end of the 1980s). On the other hand, the social cost is immense: unemployment, social breakdown in coastal areas, an unfair distribution of the catch and consumption of seafood. BLOOM’s interest in the validity, efficacy and equity of public subsidies to the fishing sector is part of an attempt to turn the tables for both humans and the environment. What is the Maximum Sustainable Yield (MSY)? Read the report made by Ocean 2012 (in French) to understand the meaning of this important concept. The MSY is the minimum target of several international commitments. Although small fishing boats account for 77% of the UK’s fishing fleet and 65% of full-time employment in the industry, they are allowed access to only 4% of the fishing quota. Source: “‘Fair fishing’ manifesto calls for greater quota share for smaller boats” Harris John and Harvey Fiona, The Guardian, August 8th 2012. 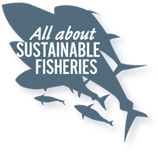 J. Jacquet et D. Pauly’s excellent article, “Funding Priorities: Big Barriers to Small-Scale Fisheries” is a must-read on this subject. A PLATFORM FOR SMALL-SCALE FISHERMEN IN FRANCE!